For other uses, see Exocet (disambiguation). The missile's name was given by M. Guillot, then the technical director at Nord Aviation. It is the French word for flying fish from the Latin name exocoetus, a transliteration of the Greek name for flying fish ἐξώκοιτος (exōkoitos), which literally means "lying down outside (ἒξω, κεῖμαι), sleeping outside", because it sometimes stranded itself in boats. Its rocket motor, which is fuelled by solid propellant, gives the Exocet a maximum range of 70 kilometres (43 mi; 38 nmi). 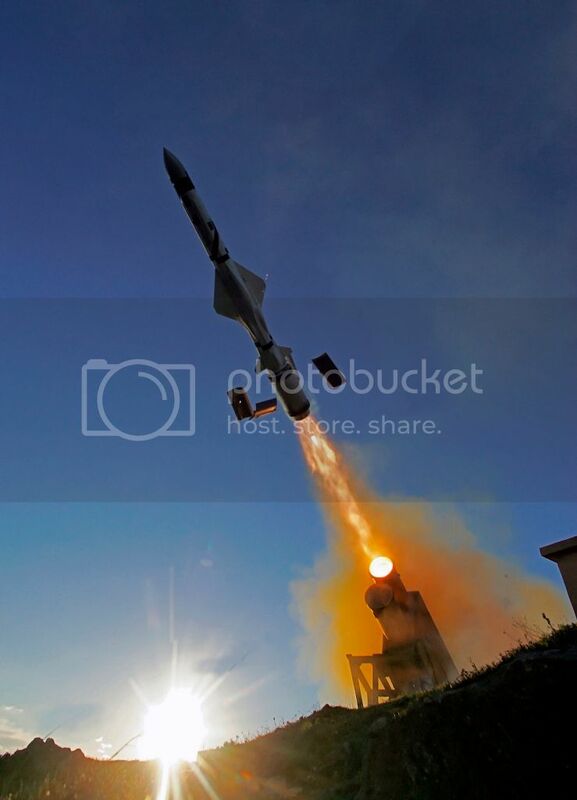 It was replaced on the Block 3 MM40 ship-launched version of the missile with a solid-propellant booster and a turbojet sustainer motor which extends the range of the missile to more than 180 kilometres (110 mi; 97 nmi). The submarine-launched version places the missile inside a launch capsule. MM38 (surface-launched) – deployed on warships. Range: 42 km. No longer produced (1970). A coast defence version known as "Excalibur" was developed in the United Kingdom and deployed in Gibraltar from 1985–1997. AM39 (air-launched) – B2 Mod 2: deployed on 14 types of aircraft (combat jets, maritime patrol aircraft, helicopters). Range between 50 and 70 km, depending on the altitude and the speed of the launch aircraft. SM39 (submarine-launched) – B2 Mod 2: deployed on submarines. The missile is housed inside a water-tight launched capsule (VSM or véhicule Sous marin), which is fired by the submarine's torpedo launched tubes. On leaving the water, the capsule is ejected and the missile's motor is ignited. It then behaves like an MM40. The missile will be fired at depth, which makes it particularly suitable for discreet submarine operations. MM40 (surface-launched) – Block 1, Block 2 and Block 3: deployed on warships and in coastal batteries. Range: 72 km for the Block 2, in excess of 180 km for the Block3. In February 2004, the Délégation Générale pour l'Armement (DGA) notified MBDA of a contract for the design and production of a new missile, the MM40 Block 3. It has an improved range—in excess of 180 kilometres (97 nautical miles)—through the use of a turbojet engine, and includes four air intakes to provide a continuous airflow to the power plant during high-G manoeuvers. The Block 3 missile accepts GPS guidance system waypoint commands, which allow it to attack naval targets from different angles and to strike land targets, giving it a marginal role as a land-attack missile. The Block 3 Exocet is lighter than the previous MM40 Block 2 Exocet. Forty-five Block 3 Exocets were ordered by the French Navy in December 2008 for its ships which were carrying Block 2 missiles, namely Horizon-class and Aquitaine-class frigates. These are not to be new productions but the conversion of older Block 2 missiles to the Block 3 standard. A MM40 Block 3 last qualification firing took place on the Île du Levant test range on 25 April 2007 and series manufacturing began in October 2008. The first firing of the Block 3 from a warship took place on 18 March 2010, from the French Navy air defense frigate Chevalier Paul. In 2012, a new motor designed and manufactured in Brazil by the Avibras company, in collaboration with MBDA, was tested on a MM40 missile of the Brazilian Navy. Beside the French, the Block 3 has been ordered by several other navies including that of Greece, the UAE, Peru, Qatar, Oman, Indonesia and Morocco. 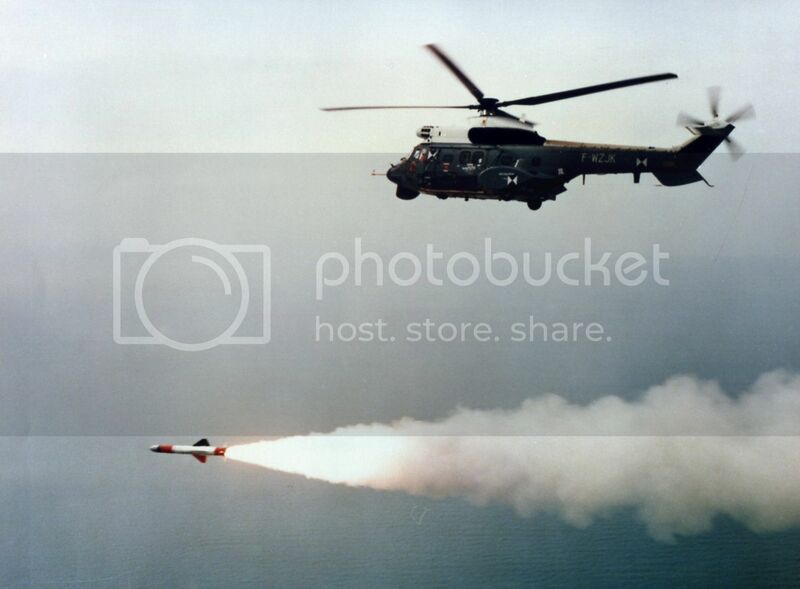 The chief competitors to the Exocet are the US-made Harpoon, the Swedish RBS-15 and the Chinese Yingji series. 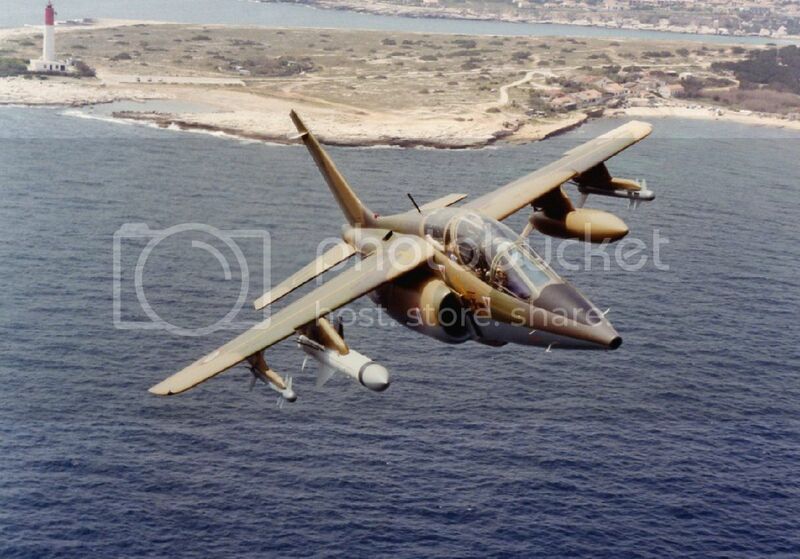 In 1982, during the Falklands War, the Exocet became noted worldwide when Argentine Navy Dassault-Breguet Super Étendard warplanes carrying the AM39 Air Launched version of the Exocet caused irreparable damage which sank the Royal Navy destroyer HMS Sheffield on 4 May 1982. Two Exocets then struck the 15,000 ton merchant ship Atlantic Conveyor on 25 May. Two MM38 ship-to-ship Exocet missiles were removed from the old destroyer ARA Seguí, a retired US Navy Allen M. Sumner-class vessel and transferred to an improvised launcher for land use, a technically challenging task which also required reprogramming. One of these was fired at, and caused damage to, the destroyer HMS Glamorgan on 12 June. The Exocet that struck the Sheffield impacted on the starboard side at deck level 2, travelling through the junior ratings scullery and breaching the Forward Auxiliary Machinery Room/Forward Engine Room bulkhead 2.4 metres (7 ft 10 in) above the waterline, creating a hole in the hull roughly 1.2 by 3 metres (3.9 by 9.8 ft). It appears that the warhead did not explode. Accounts suggest that the initial impact of the missile disabled the ship's electrical distribution systems and breached the pressurised sea water fire main, severely hampering any firefighting response and eventually dooming the ship to be consumed by the fire. The loss of Sheffield was a deep shock to the British public and government. Some of the crew of Sheffield were of the opinion that the missile exploded, others held the view that it had not. The official Royal Navy Board of Inquiry Report, however, stated that evidence indicates that the warhead did not detonate. During the four and a half days that the ship remained afloat, five salvage inspections were made and a number of photographs were taken. Members of the crew were interviewed, and testimony was given by Exocet specialists (the Royal Navy had 15 surface combat ships armed with Exocets in the Falklands War). There was no evidence of an explosion, although burning propellant from the rocket motor had caused a number of fires, which could not be checked as a fire main had been put out of action. The Atlantic Conveyor was a container ship that had been hastily converted to an aircraft transport and was carrying helicopters and supplies. The missiles had been fired at a frigate but had been confused by the frigate's defences and instead targeted the Atlantic Conveyor nearby. The Exocets—it is not certain whether the warheads exploded or not—caused a fire in the fuel and ammunition aboard which burnt the ship out. Atlantic Conveyor sank while under tow three days later. The Exocet that struck Glamorgan detonated, (a number of crew members witnessed this, as did the Argentines who fired it, the whole event being recorded by a film crew), on the port side of the hangar deck, punching a hole in the deck and galley below, causing fires. The missile body travelled into the hangar and caused a fully fuelled and armed Wessex helicopter to explode. Prompt action by the officers and men at the helm saved the ship. With less than a minute's warning the incoming missile had been tracked on radar in the operations room and bridge; as the ship was travelling at speed, a turn was ordered to present her stern to the missile. The ship was heeled far over to starboard when the missile struck. It hit the coaming and was deflected upwards. The dent caused by the impact was clearly visible when Glamorgan was refitted in late 1982. In about 1983, the Lokata Company (a maker of boat navigation equipment), independently duplicated part of the Exocet's navigation system; it caused official complications. 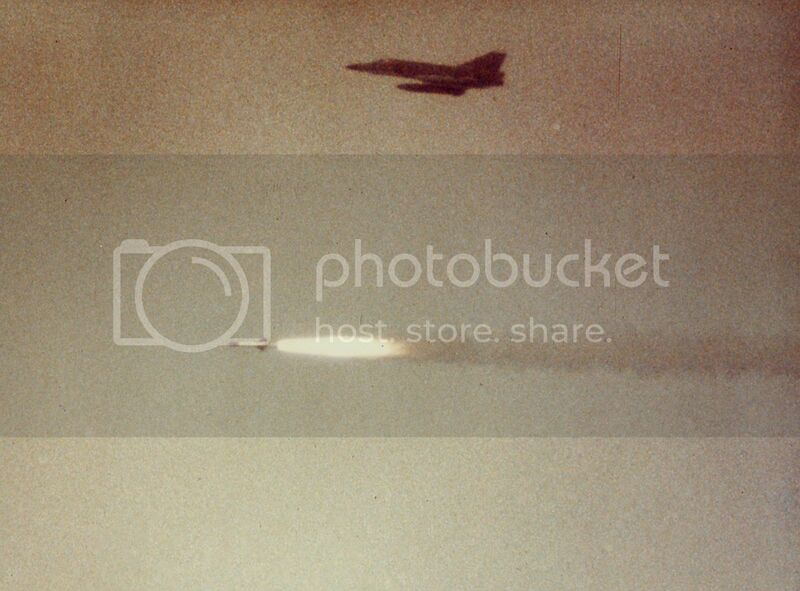 During the Iran–Iraq War, on 17 May 1987, an Iraqi jet aircraft fired Exocet missiles at the American frigate USS Stark. Thirty-seven United States Navy personnel were killed and twenty-one others were wounded. 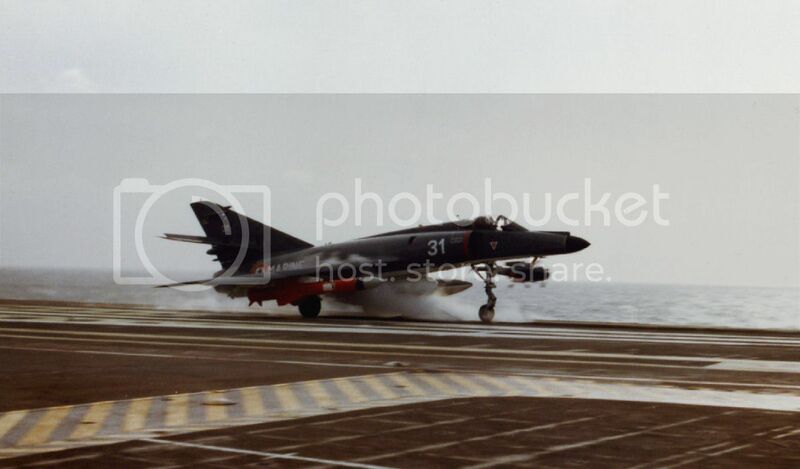 Super Etendard taking off with test AM39 under wing. Note, electronic pod under fuselage and drop tank under other wing pylon. Chilean Navy – MM38, AM39, MM40 and SM39 for the Scorpène class submarine and modernized Type 209 submarine. German Navy – To be replaced with the RBS 15. Iranian Air Force – Acquired ex-Iraqi AM39 from ex-Iraqi Mirage F1's; these aircraft sought sanctuary during the 2nd Persian Gulf War. South African Navy – MM40 Block 2 on Valour class frigates. 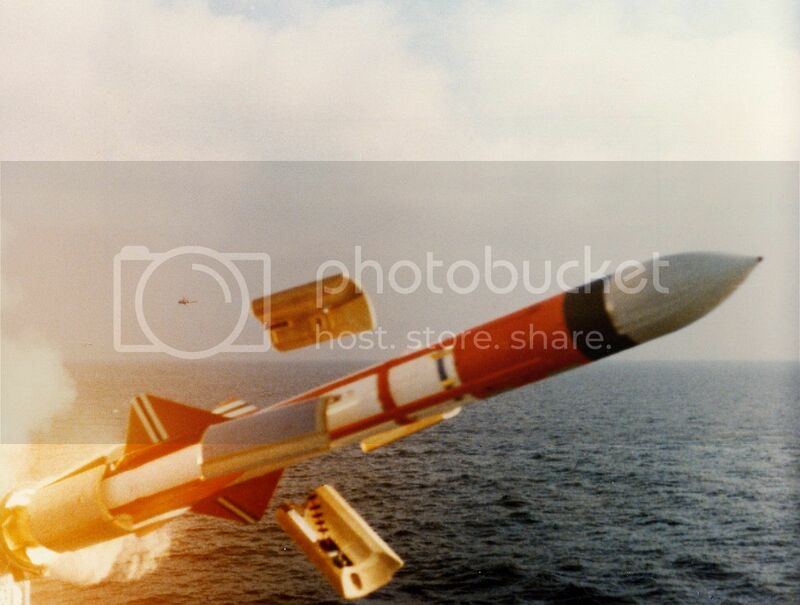 The navy plans to upgrade to the Block 3 missile. ↑ 1.0 1.1 Guillot, Jean; Estival, Bernard (1988). L’extraordinaire aventure de l’Exocet. Les éditions de la Cité. ISBN 2-85186-039-9. 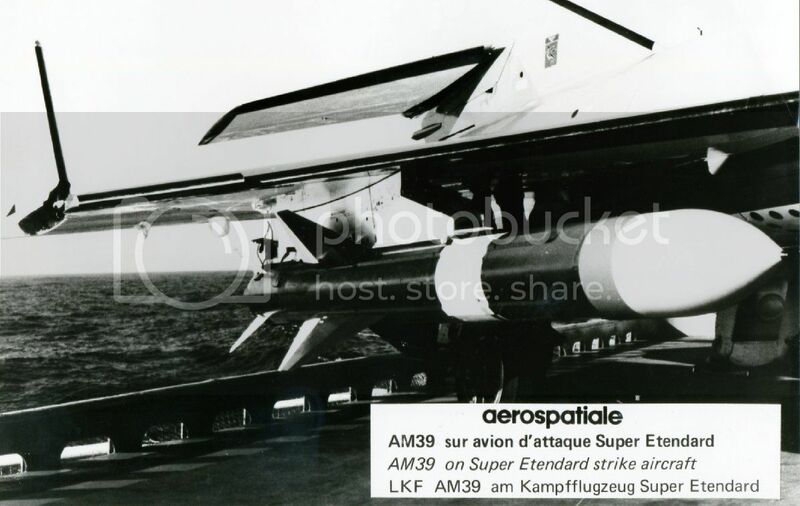 <templatestyles src="Module:Citation/CS1/styles.css"></templatestyles> The missile's name was given by M. Guillot, then technical director at Nord Aviation, after the French name for flying fish. ↑ The Glamorgan was a 5,400tn destroyer of steel and compartment construction. It was designed with experience and lessons from WW2, including Japanese suicide attacks, which is probably what saved it from destruction. Wikimedia Commons has media related to Exocet. This page was last modified on 23 May 2016, at 13:24.